In the 60’s when Dutch colonialists left the now Indonesia’s most eastern Papua province, they promised Papuans an independent state. Fascinated by West Papua’s enormous resource basins, including The Worlds largest Gold-Copper mine, Grassberg, The Americans under president Nixon, threatened The Dutch with war if they would resist an Indonesian invasion. Frightened, outgunned and outnumbered The Dutch retreated and Indonesia invaded Papua. The Indonesian’s promised Papuans that they would help develop their land and then leave within 5 years. In 1969 the province was officially ousted from the Dutch under The New York Agreement better known as the act of free choice, an mock referendum to make Papua an part of Indonesia. The result of the referendum was received with many International critics that the Indonesian army had intimidated many voters and their families. From an population of one million natives, 1025 handpicked Papuans were forced to vote in favour of Indonesia. An secret war between The Indonesian army and The independence movement The TPN-OPM has been breeding ever since. Separatist sentiments among locals have grown ever since amidst high profiled corruption and an iron rule by the army with an estimated personal upto 40.000 strong. West Papua is one of the most policed places in the world. Human rights records in West Papua belong to the worst in the world. Disappearances, torture, executions and racial instigation are not uncommon. The Indonesian Papua province has one of the highest poverty and corruption rates in the entire region. Despite one of world’s largest resource basins including gold and copper reserves, the majority of Papuan-Indonesians are still living below the regional poverty line. Social development goes slowly compared to other parts of Indonesia with over 275 tribes who till very recent still lived in isolation. Foreign journalists wishing to report from Papua await endless paperwork and are imposed to take Indonesian intelligence officers along with them. They are required to pay for agents: food, accommodation and transport from their own pockets. Journalists are forbidden to cover freedom movements such as The TPN-OPM that oppose the Indonesian government in West Papua. They are fined and blacklisted when reporting criticising news against the Indonesian government. The maker of this film, has reported undercover inside West Papua for 5 consecutive months, dodging informants and intelligence agents. He has entered Papua four times in the last two years. He brings you the shocking secrets and haunting testimonies that have never came out before. From the notorious prisons, to the deep and inaccessible jungles till the remote highlands. Furthermore the outlawed militant independence-movement the TPN-OPM, the perpetrators and the victims. The exodus abroad, the refugees, the corrupt politicians and an uncertain future. 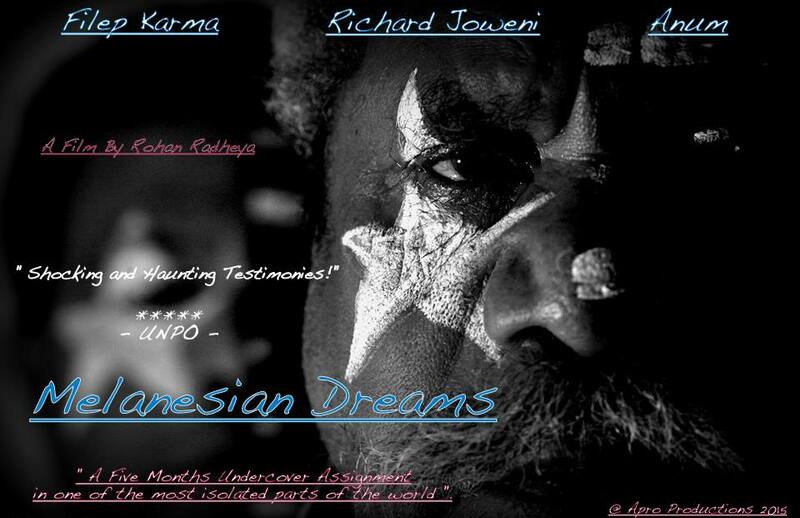 Melanesian Dreams tells the struggling tale of three generations under an vicious and corrupt regime. An endless struggle that has taken place for over 60 years, which the world has shut its eyes for. Melanesian dreams has been banned by The Indonesian government from screening inside Indonesia. but it will knock you out ! ”.